Hey Everyone! 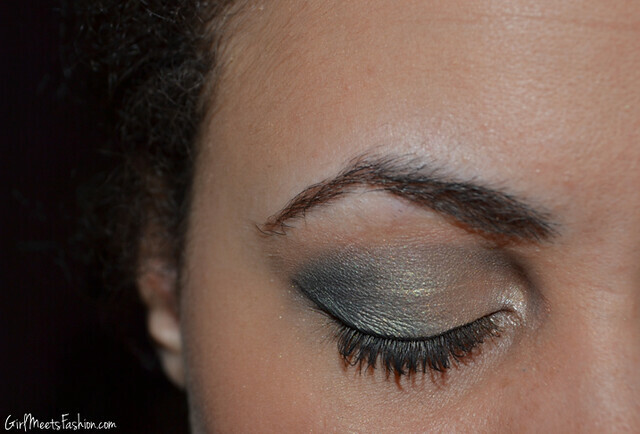 So here's a New Years look tutorial using Navy and Gold! I really love how this look came out!!! Hope you do too! Also below is a video of what I got for Christmas! So check them out! DONT FORGET to Subscribe to my channel as well! I'm going to be doing a lot more videos soon! That eye make up looks amazing. Can't wait to try it out for myself! Have a fabulous new years too. very inspiring make-up <3 I will try it!! Such a gorgeous look! I love it. Love the makeup and your boots are so awesome. I joined your site. I hope you can check out my site: http://theproverbs.net and join. I just posted a new look titled "Exodus XIV: XV Move On". Tell me what you think...thanks and God Bless! I love this look! I will have to try it out soon. I followed your blog, thanks for the sweet comment! Your eyemakeup is gorgeous. love the colours. You did it Perfect! So Beautiful!! :) I Love Your Blog! !